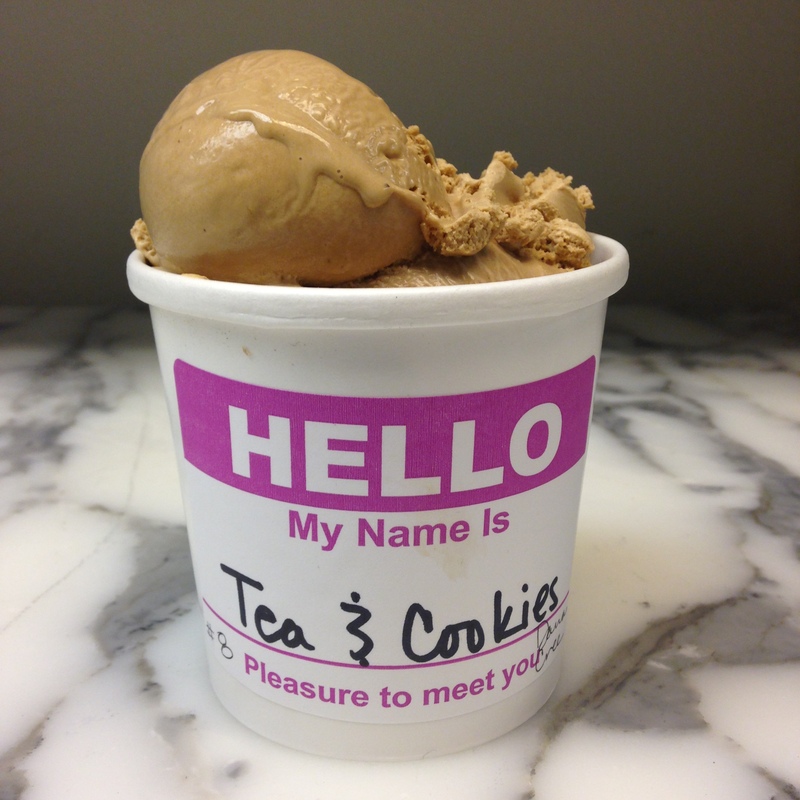 Our tea ice cream was inspired by my former sous chef Janet Tong. She described the milk teas of her native Hong Kong, deep like espresso and silky smooth, enriched with evaporated milk, an elegant cousin to the thai iced tea we know and love. We chose the Regal English Breakfast tea from Chicago’s Rare Tea Cellars, and include a healthy dose of evaporated milk to create this silky black tea ice cream. Once the ice cream is churned, we scatter crushed vanilla shortbread and itty bitty pieces of candied lemon peel through out.